In the context of Activity 2.2 “Support to develop the role of judicial police and agents of ASP to conduct crime investigation and further develop intelligence-led policing”, PAMECA IV has organised a 3-day study visit to the French Directorate of Judicial Police. 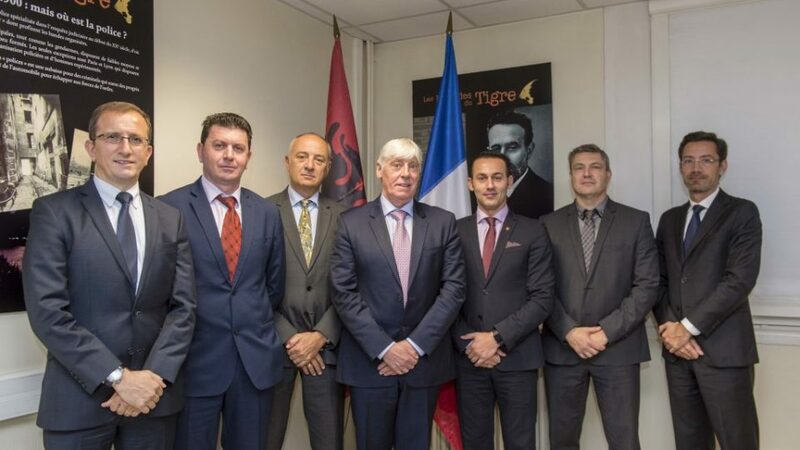 During this visit, General Director for Serious and Organised Crimes, Mr. Ardian Çipa, and Mr. Idajet Faskaj, Director of Narcotics and Illegal Trafficking, met their counterparts and have been informed about the French experience in the fight against organised crime offences. The main purpose of the visit was to strengthen the operational cooperation with French services, to study the central and regional organization of the French Judicial Police and to compare both systems. In addition to the meetings, the Albanian delegation visited also the Inter-ministerial Technical Assistance Service in charge of the nation-wide implementation of Special Means of Investigation. During the frank and open discussions, practical information was exchanged with the purpose of tackling Albanian criminal groups operating in both countries and eventually to set up Joint investigations.